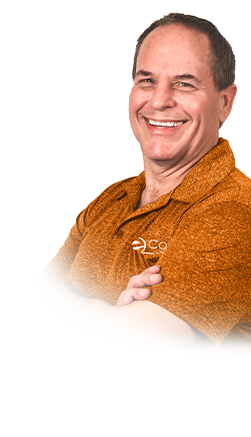 Bob is a jack-of-all-trades and a very talented expert here at eComfort. He holds a degree in Aviation Technology and is a certified aircraft mechanic specializing in airframes and powerplants. 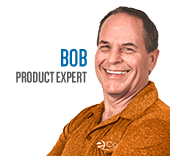 As a Chicago native, Bob understands the extreme shifts in climate and loves working with customers to solve all of their heating and cooling needs. He started out in the HVAC industry as a residential heating and cooling installer and has been certified in universal refrigerants for the last 22 years, including the latest R-410A refrigerant. Bob also understands the many details that go along with home improvement projects having owned his own remodeling company for 18 years. In addition to HVAC systems, Bob has experience with renovating and updating kitchens, baths, basements, decks, and even man caves. You can literally ask Bob anything and he'll most likely have the answer! When Bob isn't on the job, he enjoys boating, jet-skiing, and snowmobiling along with his wife and 3 daughters.